Chris decided he liked the idea of doing a slight detour off the Rig Road and take the Knolls Track up to the WAA Line across to the Erabena Track and then back onto the Rig. 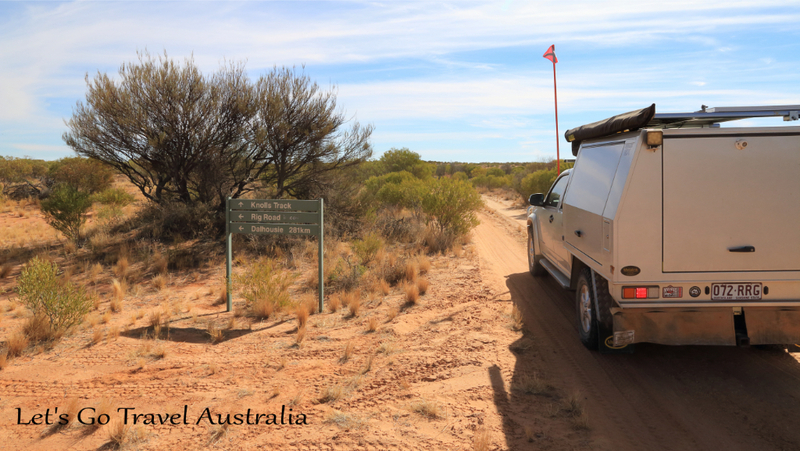 The Knolls Track was narrow and was like we were driving half way up a sandhill at one point. 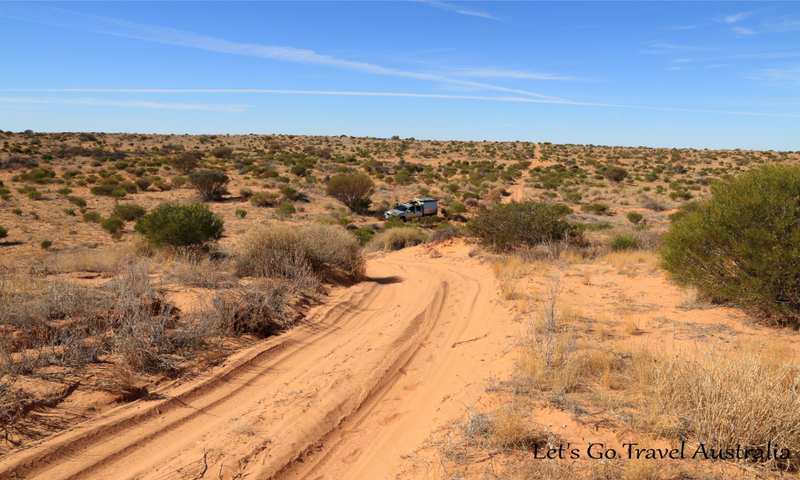 We had a couple of 4×4 and some trail bikes we had to move over for heading in the opposite direction. We were told there was several more. At the junction of Knolls and the WAA Line there were approx 10 trail bike riders having a break. They informed us of a lot more bikes and 4×4’s coming our way along the WAA line, so much for being quieter. 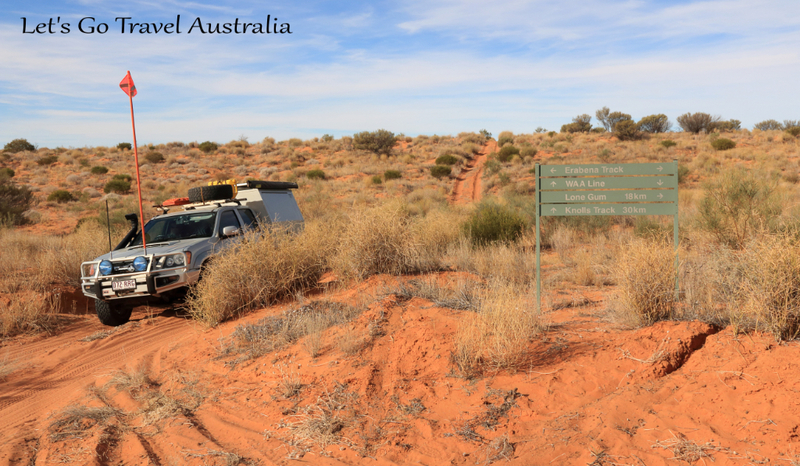 The WAA Line was sandy, rocky, had holes in the sand, it was very much up and down, round bends, lots of low bushes close to the road giving the Ute a few new pin stripes. We ended up passing so many bikes and 4×4’s we lost track all heading home from the Finke Desert Race. Hopefully today will be the most traffic we will see. 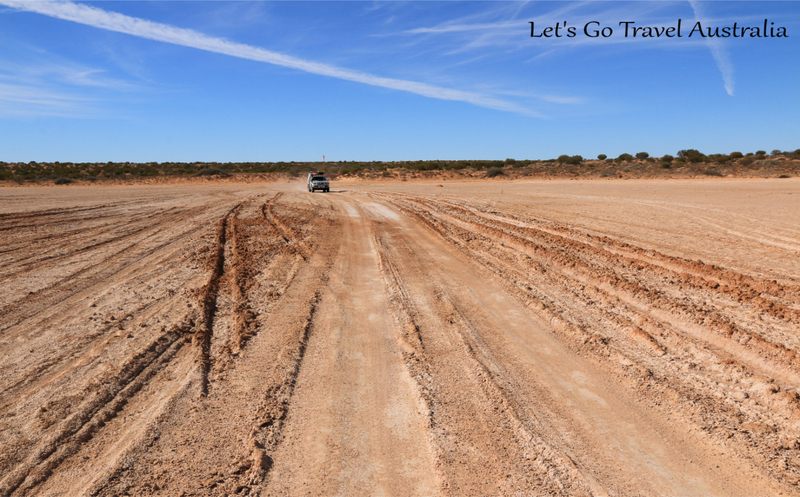 We crossed several salt lakes, which are lots of fun to drive on when they are dry. 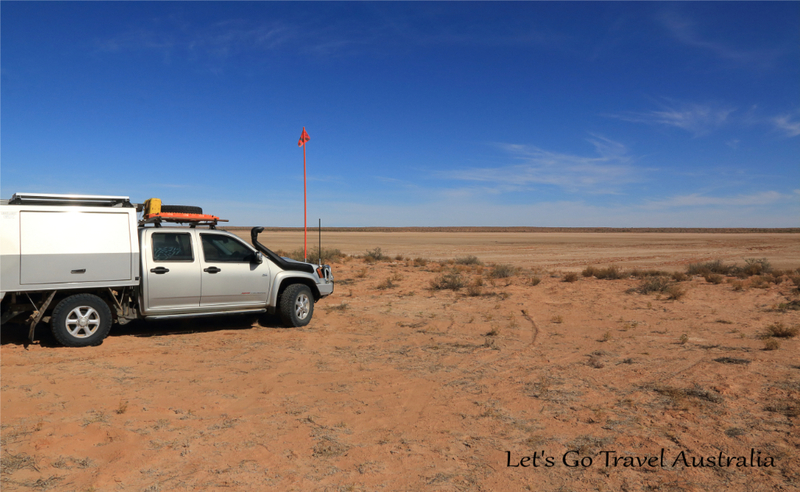 We stopped on the edge of a large clay pan near a salt lake for lunch before we crossed the lake. It was awesome. There was lots of wheel ruts where people had decided to get off the main track and got stuck. Have to say it was lots of fun crossing it. The sandhills started to get bigger after this, lots of curves and twists. As we came up the top of the crest it could be hard to see which way the track went. Chris would get on the CB and say, ” single vehicle west bound on the WAA about to come up a crest” letting oncoming traffic know we were there. At one point we did have to back down to let 2 vehicles come through. 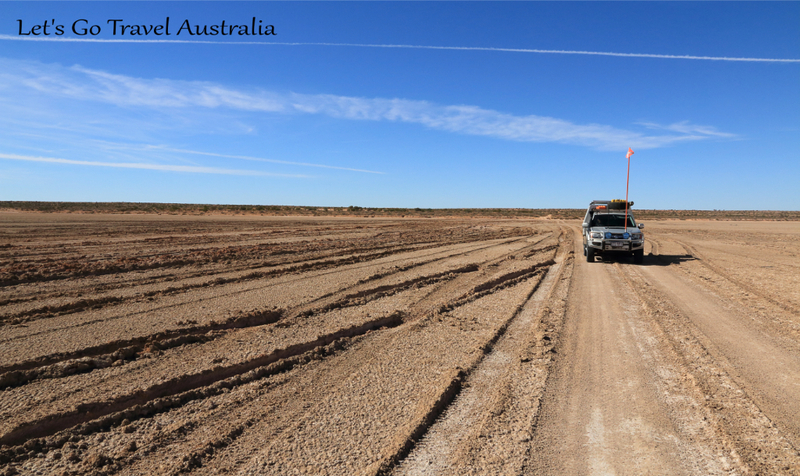 It was pretty slow going, the Ute had no issues at all going up the sandhills. 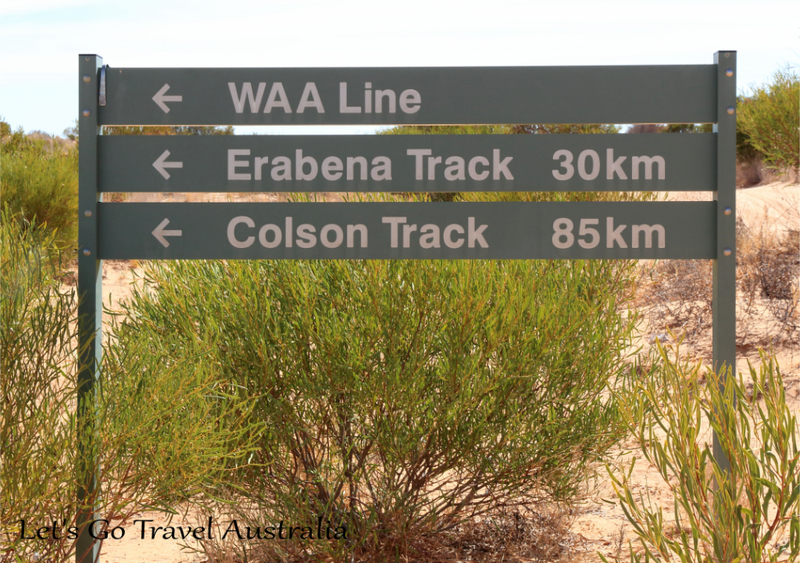 Erabena Track was pretty corrugated the whole length we travelled on it. It was a lot wider and more heavily used. We didn’t see any other traffic on this track.